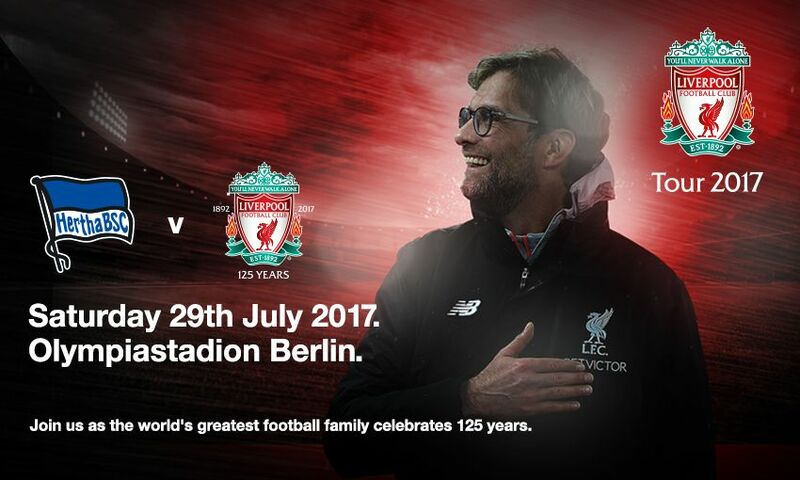 The Reds will face the Bundesliga side on July 29 in a special game which will see both clubs mark their 125th anniversaries with a fixture that will be played under the banner, ‘Celebrating football since 1892’. The friendly will be held at the home team’s historic ground, the Olympiastadion Berlin, where the Reds last met the Berliners in 2008. It will be the fourth time the two sides have gone head-to-head in friendly encounters and takes place four days after Hertha BSC’s official 125th anniversary. The fixture forms just part of the milestone celebrations for both teams, with festivities planned throughout the 2017-18 season. Ticket details will be announced soon on Liverpoolfc.com.